Abbotsford was founded over 100 years ago and today is home to 140,000 making it the 5th largest city in British Columbia. As one of the largest municipalities according to land size, over 70% of the land is designated as agricultural making it the agricultural capital of Canada. Abbotsford generates over $1.8 billion dollars of farm revenues more specifically in raspberries, blueberries, poultry and dairy farming. The Conference Board of Canada has identified Abbotsford as one of the most diverse local economies, enabling 62% of residents to work in the city itself and the other 38% commute to other municipalities. With more than 250 local manufacturers the commercial real estate is much diversified and hosts many industries such as food processing, retail, health services, education, transportation, and aviation. The strong economy has supported a 500% population growth since 1961, and focused the city’s development on strata property development. Since 1981 more than 50% of units built are multi-family units developing an environment known as the “city in the country”. With an average newly constructed home price of over $500,000 the types of housing in these neighbourhoods is becoming increasing varied. The current market consists predominantly of single dwelling units as 44% of total housing, but an increasing trend towards higher density living as 40% of housing includes townhomes, duplexes, and apartments of less than 5 stories. The city’s vision is to develop a pedestrian friendly community with a range of housing options that create a compact urban area with high density and mixed use city core. Burnaby features high density strata properties, major commercial town centres, rapid transit, high technology research, business parks, film production studios, and TV stations. Burnaby is second only to the City of Vancouver as a centre of employment and output in British Columbia where as it employs over 80,000 people. While Burnaby occupies about four percent of the land area of Metro Vancouver, it accounted for about ten percent of the region’s population in 2010. It is also the third most populated urban centre in British Columbia with an estimated population of over 220,000 people. Voted the best run city by Macleans Magazine, Burnaby has a strong focus on developing livable regions with a goal to concentrate growth while developing an equal split of ground oriented property and condominiums. Burnaby neighbourhoods offer a variety of homes and lifestyles with each complimented with community centres, schools, and daycares keeping these quality neighbourhoods in high demand. Lastly, regardless of its growth and development, the city Burnaby has maintained one of the highest ratios of park land to residents in North America. Incorporated in 1873 Chilliwack is home to a population of over 90,000 people and is projected to reach over 100,000 by 2021. The local economy consists largely of agricultural, forestry, manufacturing, tourism and retail. Chilliwack’s service and retail sector contributes to approximate 50% of its GDP. With over 900 farms, Chilliwack is offers a diverse agricultural industry including dairy products, corn, berry production and floriculture. Chilliwack is considered a community of communities including Chilliwack Proper, Sardis and Vedder which host over 32,000 private dwellings. With an average housing cost that is 60% lower than that of Vancouver, Chilliwack is considered to host affordable real estate. Housing in Chilliwack is primarily of single home dwellings but that breakdown is looking to vary significantly in the next 20 years. Housing types are increasing trending more towards multi family living such as townhomes, apartments and condominiums. The mountainside in Chilliwack also provides many high end properties with magnificent views of the Fraser Valley as well as waterfront homes along the beautiful rivers. Coquitlam is a bedroom community, whose central location as the geographic centre of the Lower Mainland has a majority of residents who commute to work in Vancouver, Burnaby, and other suburbs. As a city that prides itself in master city planning, Coquitlam’s city centre has been optimized to manage traffic, promote walkability and promote a vibrant commercial centre. The city has plans for a rapid transit line and currently boasts a regular bus service with numerous lines running throughout the city and connecting to other municipalities. With a current population of 125,000 the growth in Coquitlam is forecasted to double in the next 20 years. The city is divided into smaller residential areas which include large apartment complexes in the city centre and transitions from townhomes which stretches into the outward neighbourhoods. Delta, the “birding capital of Canada”, has been a municipality since 1879 and is rich with cultural heritage, strong native influence and agricultural industry. Delta is comprised of three distinct geographical communities North Delta, Ladner and Tsawwassen. North Delta is the cities suburban multicultural community with over 100,000 people, Delta is a safe, clean, and quiet community comprised primarily of single properties, low-rise townhomes and apartments. With strong residential real estate Delta boasts an estimated average household income that is 30% higher than the national average, making it a stable and prosperous community. Tswwassen which means “facing the sea” provides access to the United States border and to Vancouver Island via the ferry, also one of the busiest import/export ports in a North America. Lastly is Ladner a fishing and agricultural community that provides the economic diversity necessary to position Delta to become one of the fastest growing industrial areas in the Greater Vancouver Region. 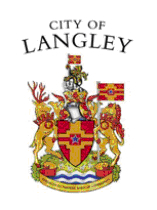 The city of Langley with a population of 25,000 is surrounded on the north, east and south by the Township of Langley with a population of over 100,000 people. Langley hosts six unique and distinct communities each with their own commercial property, farmers markets, antique retailers, wineries and parklands. With a housing cost which is often 57% less than that of Vancouver many people are choosing to live in Langley to exercise their greater purchasing power. This has led to growth in high density residential development and larger townhouse market where an average 1500 square foot home is sold for less than $200,000. This new growth has encouraged Langley to develop of goal of supplying one job for every Langley resident in the employed labour force. This is possible as it is one of the most active industrial and service commercial land bases in the lower mainland economic region. With more than 6,600 companies operating within their perimeters, easy access to major transportation routes and an airport that has become a destination for jobs, high-tech industry and service industries. Most importantly Langley celebrates its heritage as home to more than half of the farms in Metro Vancouver and continues its role providing specialty crops and products, ranging from world-class wines and organic turkey to seasonal favourites like berries and Christmas trees. Maple Ridge has grown alongside the province’s earliest transit route – the Fraser River with a population of over and in the last 20 years has grown very rapidly now boasting a population of over 75,000 people. Maple Ridge has several neighbourhoods all with their own post office, community centre, churches, stores and schools that enable families to flourish. This community mindset is still alive and flourishing as every weekend you can find community festivals to sporting activities all supported through volunteerism. Property prices continue to be amongst the lowest in the GVRD which has led to an influx of new residential subdivisions existing primarily of townhomes and apartment complexes and at current over 76% of Maple Ridge residents own their own home. At the current rate the housing stock in Maple Ridge is looking to double to almost 40,000 units by 2016, but the type of new developments will largely depend on the choice of current residents. 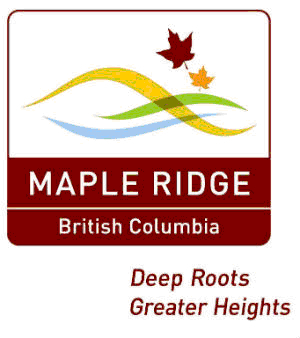 Maple Ridge has a diverse economy encompassing manufacturing, high tech, education, tourism, post-secondary and film production. Currently the Maple Ridge agricultural sector generates upwards of $40 million dollars annually from berry crops, nurseries and horse breeding. Nevertheless about two-thirds of those who work outside of the home commute to other Vancouver suburbs. The unique mix of urban and rural lifestyle, improved access to community and transportation has earned Maple Ridge the name of the 2010 #5 top Canadian investment city and once again the #2 top BC investment town and ‘the place to live for lifestyle’ by the Real Estate Investment Network, maple ridge is actively focused on developing their town centre and boosting its commercial renovation. Incorporated in 1892, Mission is the 23rd largest municipality in British Columbia and hosts a population of over 35,000 people. Only 15 minutes from the US border and 70km east to the City of Vancouver, Mission is a relaxed community, with modern commercial centres, scenic destinations and a keen sense of history experienced through its heritage buildings and historic downtown core. With over 10,000 private households comprised primarily of single home dwellings more than 75% of homes are owner occupied. Only 25% of dwellings are rented in the City of Mission and based on statistical analysis the average cost of living is under 30% of total income making Mission an affordable place to live. There has been a transition towards building multi-family residential units to provide a variety of housing types for those of all incomes and lifestyles. Mission is positioned for growth with a projected increase in the stock of dwelling units by 98% by the year 2031, single detached units will be the dominant housing form but the variety of townhomes, condominiums, and multifamily complexes will increase by 230%. Economic activity in Mission is led by a growing manufacturing, construction, and education industries, but more than one third of all income generated in Mission is from the public sector including local schools, health care, and government. The city’s strategic plan is largely focused on diversifying the economy and to create opportunities for residents to work in the city, as currently over 60 percent of residents work outside of Mission. The vision for mission is that of a healthy balance of residential and commercial land, abundant parkland and open space, this family oriented affordable community continues to strive and uphold its reputation as the “the jewel in the valley”. New Westminster is centrally located with direct access to highways, rail lines, port facilities and five Sky Train stations within a 7km radius. With a decrease in crime of nearly 60% since 1996, this city is focused on the future and with the largest building permit value per square kilometer there has been growth in the number of parks, plazas, schools, and civic development to accommodate a population which is expected to double at a rate outpacing the region. The city offers an array of housing types from large historic homes in Queens Park to executive style property management New Westminsterlocated along the Fraser River. The development of a riverside esplanade with festive markets and high density residential developments has created an attractive waterfront living experience in New Westminster. The combination of affordable real estate, accessibility, and creation of old yet trendy work spaces has maintained a high quality of urban development that is attracting firms and workers. North Vancouver is home to both the city of North Vancouver and the District of North Vancouver that are separate entities whose combined real estate property is often referred to as “North Vancouver”. Together they are home to over 120,000 residents who share several core services including school districts, recreation commissions and police departments but host their own mayor, councils and operations departments. 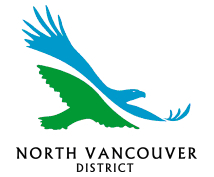 The District of North Vancouver is the larger of the two and is primarily made of single- family residential housing. The City of North Vancouver is home to the majority of the North Shore's rental properties, commercial properties, and high density property developments. The restaurants, small businesses and residential units make North Vancouver an exciting municipality with one of Canada’s lowest crime rates. With about 45% of its population renting their homes, the City of North Vancouver maintains the most robust rental market of all the North Shore municipalities. Now one of the fastest-growing regions in British Columbia, the Okanagan is popular year-round with retirees, second-home owners, and younger families seeking to escape from urban life. The Okanagan Valley has everything from orchards, vineyards, mountains and lakes which make this an active community all year round. 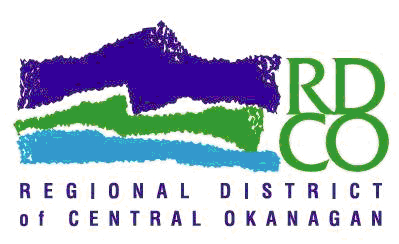 The Okanagan is comprised of several communities including Penticton, Kelowna, and Summerland, each with their own distinct community centres, recreation, and residential properties. This high inflow of new residents has resulted in the population of over 350,000 people; doubling in just 25 years. The real estate market has a higher proportion of owned dwellings 77.3% over rental properties at 22.7% and a large majority of new property purchase are from the “move up buyers” who are growing at pace with the recreational property buyers. The combination of community focused individuals and mild continental climate provides a well-rounded lifestyle for people of all ages. First incorporated as a municipality on March 7, 1913, Port Coquitlam now boasts a population of over 50,000 and is Canada’s 88th largest city. Initiated by the movement of the Canadian Pacific Railway Company freight operations to the site of Port Coquitlam in 1911 it has grown into a vibrant community with big city connections and a small city charm. With over 15,000 homes ranging from housing from single home dwellings, townhomes, apartments and condominiums over 80% are owner occupied and contribute to Port Coquitlam’s reputation as a safe place to raise a family. Known for its affordable housing in comparison to the rest of the region, Port Coquitlam has become a location of choice for a large number of progressive enterprises. Progressive business opportunities with new institutional, industrial and residential developments are occurring close to the historic and authentic downtown core and also in its dominion triangle. The economy continues to diversify, and now include metal fabrication, high technology industries and transportation. Port Coquitlam is a beautiful city that encourages housing type diversification and takes special care to protect the nature of the environment, waterfront zones and existing neighbourhoods. The City of Richmond is a compilation of islands with a population of almost 200,000 people making it the fourth largest city in British Columbia. Richmond’s real estate occupies a river delta creating rich agricultural soil and land that is prone to flooding as all land averages just one metre above sea level. The high water table is the reason very few houses have basements and until recently very few strata properties were above 3 storeys high. The recent development of the Canada Line has delivered a transportation system in Richmond with unmatched land sea and air connections. Since the completion of this project Richmond has conscientiously instituted a transit oriented development strategy where new high density apartments and commercial starts are concentrated in the city centre to allow for sustainable living. This mindset has positioned Richmond to grow into a dynamic urban centre with a unique mixture of commercial and residential property, agricultural lands, industrial parks, waterways and natural areas. The City of Surrey officially became a city in 1993 and with a population of over 452,000 it is expected to become the largest city, surpassing the City of Vancouver within an approximate 10 years. With convenient access to an international airport, US border crossings, six major highways, rail and deep sea ports, and rapid transit positions Surrey provides transportation of goods and services worldwide fueling the growth of its business sectors. As a city with six smaller town centres Surrey’s real estate is home to all ethnicities and social economic classes who enjoy the lush farmlands, spacious parks, superb shopping, entertainment, quality housing and neighbourhoods. The housing in these neighbourhoods consists predominantly of single dwelling units, but has shown an increasing trend towards townhouses, condominiums, executive homes and apartments. The city’s encouragement of compact urban commercial development patterns with a drive towards using available non-agricultural land for business and industrial purposes is contributing to Surrey’s long term goal of building local employment to provide a ratio of 1 local job to 1 local surrey resident. Vancouver is a metropolitan city surrounded by ocean and mountains resulting in a moderate climate that has earned it the status as one the top cities to live in business magazine assessments for more than a decade. Real estate management consists of high-rise residential and mixed-use properties in the urban centres as influenced by their goal to develop a livable city. With more than 2.3 million residents, it has become the third most populated metropolitan area in the country. The benefits of this beautiful city have created a housing market with over inflated property value, with the tightest strata property markets in Canada, fueling a need for affordable housing. To accommodate this need the city has work to increase legalizing secondary suits and developed its Rental 100 program which encourages the development of condominiums where 100% of the units are rental and all rental unit credits are to be secured for the life of the building. As a city Vancouver continues to grow and it’s desirability to local and foreign individuals support its continued success as one of the world’s top cities. West Vancouver is one of the most affluent waterfront communities in Canada and is home to some of the most desirable Metro Vancouver Strata Properties. West Vancouver maintains a population of over 42,000 people where the large majority are retired or take the short commute to downtown Vancouver. Referred to as one of the wealthiest municipalities in Canada, West Vancouver has many single dwelling homes amounting to several millions of dollars. Of the new homes constructed annually in West Vancouver over 37% has been in duplexes, townhomes and apartments. Ambleside which houses the local commercial properties is the primary location for these strata properties including condos and apartments which make up the majority of West Vancouver’s real estate market. West Vancouver also boasts a strong rental market where housing costs in West Vancouver are high compared to regional averages and maintain the lowest (at 0.1%) vacancy rates in Metro Vancouver due to high demand. White Rock is a peninsula which hosts a population of over 18,000 is influenced by its unique physical setting. With 4 stunning golf courses and 43 parks the most stunning aspect of White Rock is its 8km of sandy beach which boasts a commercial waterfront with many coffee bars, ice cream parlors, clothing shops and restaurants. The waterfront is also the meeting point of commercial and residential development as you will find several apartment buildings that meet with the retail stores on the ground level. White Rock is a preferred retirement community you can find many multimillion dollar homes which focus on the beautiful views and laid back lifestyle. Although, with its access to the highway and the US border White Rock is becoming more diverse as more commuters and families move into the area as demand is being met with everything from single family homes to condominiums. Nevertheless, White Rock continues to maintain a community that has a small town feel.